Each Monday we become in tune with our pervy creepy side. Scouring the World Wide Web, searching for a member of the male species whom we may deem tantalizing enough to serve as our man crush. Yet every Monday #MCMs are left untagged, unnoticed and unnoted. Therefore I challenge you today to a #MUM #ManUpMondayChallenge ! @ him, tell him, give him a hint, SOMETHING! he did some talking, we said our goodbyes I rushed off so i could finally breath again and let him be. Now, I’ve only had three #MCM posts in my entire instagram carreer, and one of them happens to be Alex Trebek (He just gets me), so obviously plenty of consideration is put into my selection process. 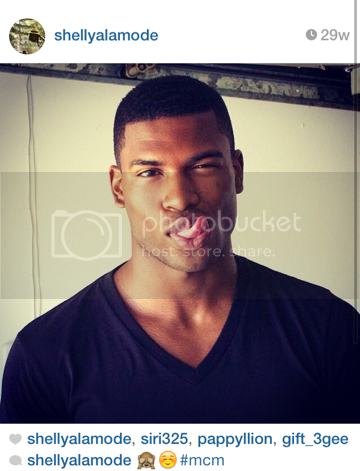 I posted model Broderick Hunter (follow his instagram) as my #MCM ( thats Man Crush Monday for my Instagram deprived friends) a whole 29 weeks ago. 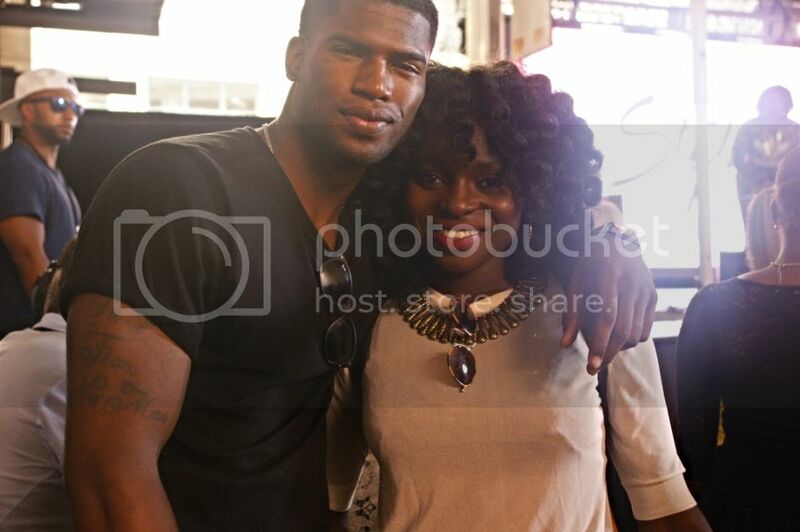 So when I spotted him at the Essence street style block party (more detailed post to follow). I felt compelled to let him know, so I did. He was flattered and extremely sweet about my outward creepiness. And guess what? I lived to tell it! So ManUP, its innocent its flattering and freeing, because really after you've the courage to ManUP to your man crush, what'll stop you now? All you need if 30 seconds, if you're ever nervous about approaching someone/ speaking in public or interview I try commit to doing it for 30 seconds and before the 30 seconds are up I usually forget to be nervous. I am suddenly engaged in a conversation and disengaged from anxiety. Try it!